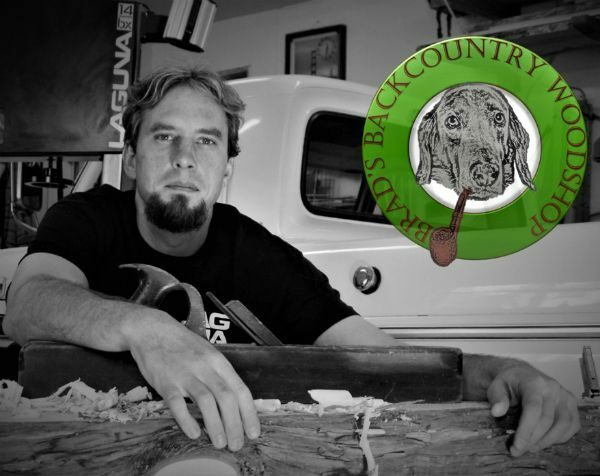 Welcome to Brad’s Backcountry Woodshop in Big Bear Lake California. Located high in the mountains of southern California I create new wooden furniture pieces as well as refinish and restore the old. I will fix dings, dents, raised or missing veneer, broken and missing pieces, spindle turnings, reweaving your cane, rush and splint chair seats, polishing old finishes. Fine instruments to chairs, simple to complex, French polishing, color matching, toner, glazing, grain filling, these are just a few processes I take each piece through. Each piece already has a story to tell and when I am done it will have many more to tell. These are just some of the things I have had the honor of working on and bringing back it’s original beauty to last another 100 years. When working on old pieces of furniture I always wonder about the hands that have touched the piece prior to mine, the conversations that took place around a hundred-year-old dining room table or the music created by 110-year-old reed organ that no one outside that room has heard today. I started working with wood at a young age, as my Grandparents on both sides and father had all the necessary tools and knowledge about woodworking for me to become comfortable in working with wood. My Mom also as early as I can remember was bringing home antiques and of course, most of them needed repair. Without knowing it at the time I was not only learning how to repair wood furniture but also was paying attention to the construction of older furniture, joinery and finish used. For long lasting furniture, I realized proper joints, finish and proportion is essential to a great piece. Please browse my site and see what you like! If you do not see what you are looking for in the site, just go to the contact page and tell me what you need! I am willing to work with you to create the wooden piece you have in mind or to fix whatever’s broken. Just e-mail pictures to me so I can give you a ballpark estimate. I will pick up and deliver pieces close to Big Bear Lake, CA. If you happen to live outside California we can schedule or discuss pick up or delivery options. Thanks for stopping by and let’s connect on social, too!